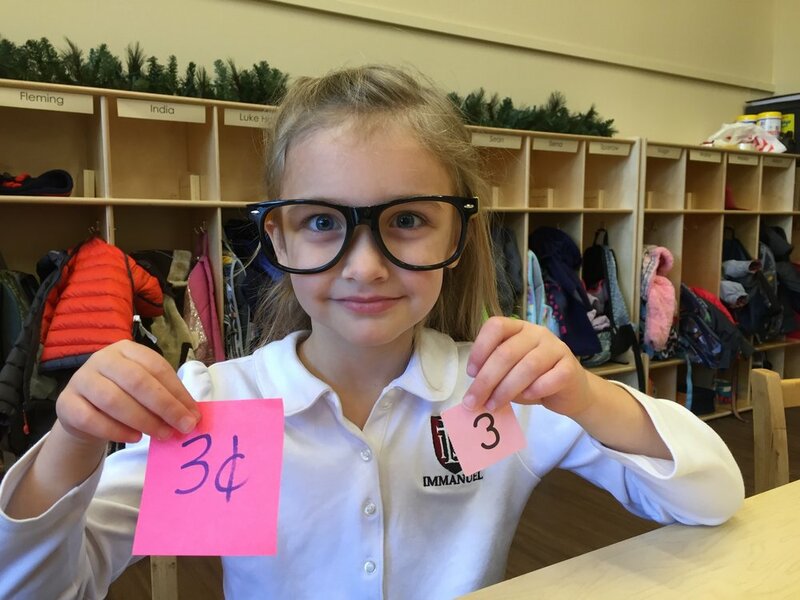 It’s Wednesday, which means it is time to join us for a Walk-in-Wednesday tour, or if you can’t make it in person, to take another peek into our classrooms through our virtual “Walk-in-Wednesday” series on the ILS Blog! During our school year, we offer families and opportunity to learn more about a classical, Christian education at Immanuel by visiting during one of our weekly Walk-in-Wednesday tours. The joyful sounds of learning will welcome visitors walking through our red doors, as students recite (and act-out!) 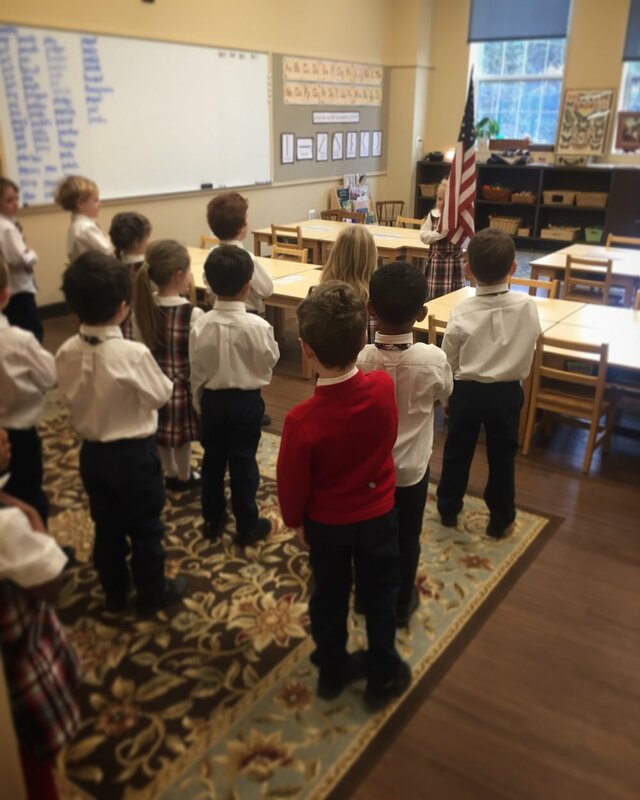 poems and chant jingles in the lower school, and engage in excellent discussions of literature, history and theology in upper school students. Singing and music ring out from the music room, and the wonderful sights and sounds of students and teachers engaged in learning can be witnessed throughout our campus. 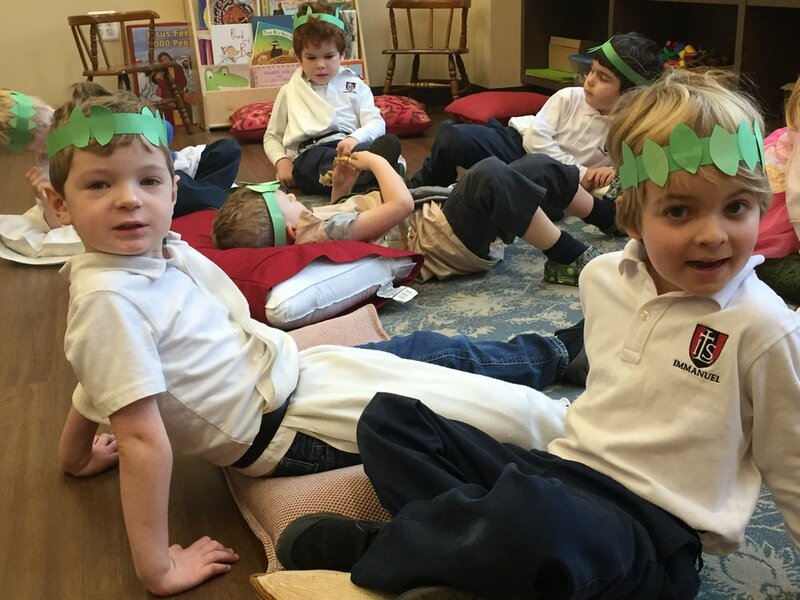 If you cannot visit us in person, or you’d just like to explore more of what you and your child might experience at ILS, we are sharing updates from our teachers highlighting what visitors may encounter when they step into an ILS classroom. 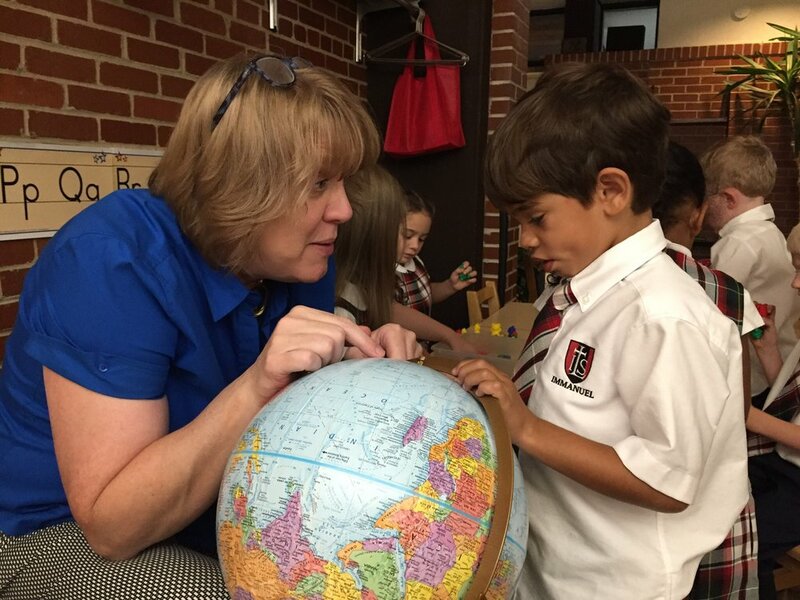 Today, Mrs. Laurie Honig shares a delightful look at her days with our youngest ILS scholars, our 4 and 5 year-old Jr. Kindergarten students. The hustle and bustle of our morning begins with unpacking our belongings and awaiting instruction from Mrs. Honig to begin our day. Students have entered the building quietly with their index finger placed on their lips as a reminder to be respectful in the hallway. Mrs. Honig is looking for a quiet table to call upon to efficiently place their belongings in cubbies. When a table is called upon the other students respond with an encouraging “good job Table B” and so it continues until all students are finished. A line of ladies and a line of gentlemen face each other and recall their manners; “ladies first”, “thank you gentlemen” (followed with a curtsy) “you are most welcome” (followed with a bow) and we proceed to a much needed restroom break and drink of water. The students are excited to share their weekend plans, prayer requests, and discuss our weekly plans! With a smile upon her face, Mrs. Honig greets her students with a cheerful countenance and today’s salutation is in German “Guten Morgen Jr. Kindergarten” (complete with accent) which cause our students to erupt in laughter :) The students then are instructed to respond “Guten Morgen Frau Honig and Guten Morgen Frau Schmick” which of course elicits more laughter; ah the joys of Jr. Kindergarten! Mrs. Honig promptly takes attendance to which the students answer “present” and we sing our “Uniform Song” to make certain everyone’s uniform is in good standing. We love our jingles and chants! Soon, the class is in a reverent position as Mrs. Schmick lights the candle on our Theology table to invite God into our midst. We know God is always with us despite the lighting of the candle, but it is a sweet reminder that it is now time to focus on the lesson at hand. The students recite the verse of the week and our Catechism; the tenth commandment. Today is our weekly chapel service at 11 a.m. Mrs. Schmick is reviewing the Gospel lesson, The Sermon on The Mount found in the Book of Matthew. Mrs. Schmick leads the discussion with an exercise and a thoughtful question and soon a sea of hands are quickly raised! The students are gently encouraged to remember the manners of a good audience member; 1) please raise your hand silently and patiently await your turn and 2) please use a full sentence when responding and this is modeled by Mrs. Schmick. We quickly review our chapel manners; complete with hand motions and now our lesson draws to a close. Mrs. Honig is among the audience and modeling the reverent position of prayer as a gentle reminder to students. Our heads are gently bowed, eyes are closed, and hands folded as Mrs. Schmick leads us in a prayer of Thanksgiving for our many gifts; especially the gift of Salvation through the grace of Christ Jesus. Oh what a blessed beginning to our Wonderful Wednesday in Jr. Kindergarten.